I hope you have enjoyed the first section of the series focusing on the Brand Messaging Framework. We left our last newsletter with a method on how to develop your Brand Positioning. 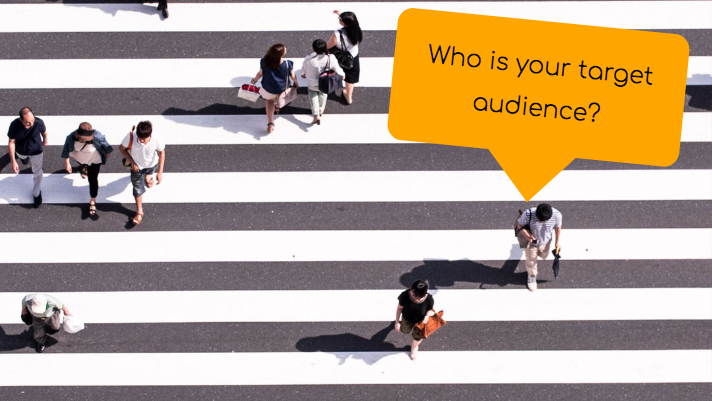 However, many questions came through as to how do you identify your Target Audience and I thought it would be great to tackle this part right now. I found this question telling and so great for you to ask because sometimes small businesses feel that they cannot afford to be selective with their clients, right? we sometimes feel that we need all the business we can get! I get it, however this “not-so strategic” approach ends up thinning out your marketing and brand building efforts. You find yourself moving away from your core competencies to adapt and re-adapt your services to suit every different type of client. When you are looking at defining your target audience you’'ll want to start with basic questions such as demographic and geographic characteristics, are they consumers? or is this a business to business relationship? where are they based? in the same city as you or all over the world? all the way to the desires, needs, wants and worries of each group. The objective of this exercise is dual: 1) that you identify all those customer segments that may find your offering attractive and 2) that you identify and decide which segment or segments are you going to target. Because one of the most basic and most important principles of brand strategy and marketing is that we cannot be everything for everyone. That tends to be a recipe for failure. We need to be great for someone! Who are the purchase decision makers? Are they the same as the users? Can you define some demographic characteristics such as age, urban / rural, life cycle stage, profession, interests and know that in some cases some of these factors are relevant and some others are not. What needs does this group have? What are their desires, worries? Where do they find their information? Where do they buy? How do they buy? Who do they trust? How do they analyze their options? How does our offering help solve their problems or satisfy their needs? On a recent case, we looked at the target audience for an architectural designer. Many people all over the US have needs for building, decorating, remodeling, etc. Our client is based in the Pacific Northwest and wants to serve this region. Additionally the firm has experience remodeling and building considering the changing life stages of the population. They understand the importance of taking into account life transitions (growing family, empty nesters, passive income needs) to design and build timeless spaces that address those very important needs. Within that group we identified three specific types of clients and left the rest (commercial clients) because even if they are interesting, they will be a distraction from their core business. Ultimately, you’ll see that all this means that our client is not just designing or building additions, they are clearly specialized in understanding the life transitions of this specific audience so they can serve them better and once the project is completed, this client will be an advocate and a source of additional clients. With a clear understanding of your audience you’ll find it easier to focus your energy on crafting the right content, using the right advertising tools to reach them and make sure that your offer stays relevant to them. Using surveys and reviews you can help build a clearer image of those clients as well as boosting your recommendations and referrals. I am glad you guys asked! And I hope this is very useful to you before we tackle our next section: Brand Personality and Brand Story. Sharing resources with the creative community. Are you in the hospitality business? What matters, according to Landor.